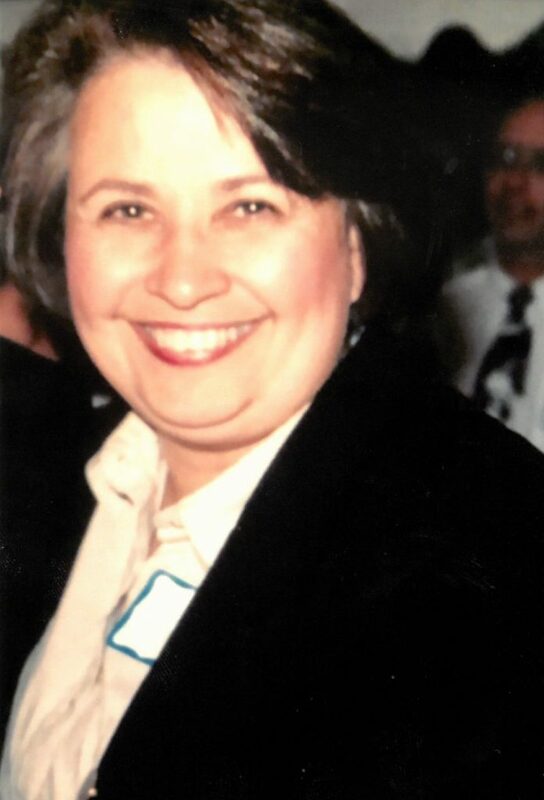 Constance Marie “Connie” Osier, age 68, of Escanaba, passed away Saturday January 26, 2019. To Connie’s family . Deepest sympathies and prayers. Connie was a pillar to our community for decades with her service to the public. May she rest in peace and her family find peace in knowing how loved she was. You have my sincerest sympathies for the loss of Connie. I got to know Connie through our involvement in the Democratic Party where she taught every person who she got to know lessons about taking pride in the electoral process. She had a loving heart and a sense of humor that was contagious, she’d tell it like it is and she wouldn’t sugar coat it. We came to grow and respect that from her and it was part of that charm that we all loved about her. She will truly be missed. If we can do one thing for Connie, let us remind people to take part in the Election process. May she soar forever. Debbie, Mike, Joe and Mark I am so sorry for your loss. Lots of memories from 16th Street. May the Lord Bless all of you at this time. Connie was a strong force and had a heart of gold. It’s hard to imagine going over to my brother Larry’s house and never seeing her pop over the fence again to join us for a gin and tonic…her presence will surely be missed whenever a political debate ensues as I could always count on her alliance at such times. I will be out of town for the next month and unable to attend funeral services, but wanted you to know I am sorry for your loss. So sorry for your loss. CONNIE was a unique woman. You always knew where you stood with her. We may not have seen eye to eye but we loved her unconditionally. She will be sadly missed by all they knew her. Know that you are all in our thoughts and prayers. My deepest condolences to all of you for the loss of your sister Connie. I remember all of you – as well as your mother Coco (I think that’s what she was nicknamed) during so many visits to your home. You all suffered great losses at an early age – as both parents died so young – but Connie was always there for you – so I would imagine that her loss is especially painful. I have not spoken to Connie in nearly 40 years – but she was always part of a salient piece of my past. In tribute to your sister – and my old friend – I would like to post here a letter I wrote to Connie following the death of my Mother in 2009. Connie knew my parents well – and so let me show you – with the following written words to Connie in 2009 – a small piece of HER history and how she interacted in the lives of those SHE touched. I remember you each fondly. And your sister Connie played an significant part in my life. She will be missed. Thank you so much for your gift to the Escanaba Library in mom’s memory. How fitting for her that gifts will go to Library’s since she worked in one – and as you recalled in your message to me – “just what happened” on occasions in the library where she worked. I too recall those days in the high school library – I guess we “pushed the envelope” a bit – and mom was there trying to save our butts. Those children of the depression certainly did a good job of raising us all. You have been at the “business of loss” for many years – having lost your parents at such a young age. Death is a rather recent visitor in my life. I guess sooner or later we all get to deal with it unless we die young, like Jack and your dad; which carries with it a real sense of unfinished years – but somehow we go on. I remember you with great fondness. We had some wonderful times together. Had the world been a different place back in the late 60’s perhaps I would have been more capable of being honest with myself and ultimately with you. Unfortunately, honesty back then may very well have resulted in a “Matthew Sheppard type incident” – in Escanaba – and certainly would not have relished dying – tied to a fence post – just outside the city limits. In any event, I believe life turned out well for both of us. I think you mentioned in a message to me, when my dad died, that “the Davis men had always been part of your life.” This seems to be quite true and continues to this day with cousin Steve. Put another way it could be said that “You played an important role in the lives of the Davis men.” Either way I’m sure we are all better people for the parts we have all played. Enclosed you will find some pieces of my mothers Celebration of Life ceremony which ended up being a Celebration of Life for both my parents since her death came last – and it seemed appropriate to tie their lives together at this moment. And Now – My best to you – Debra, Michael, Marc and Joseph – Take care. An old friend of your sister. To Connie’s Family and Friends — Please accept my sincerely sympathy for your loss. I had the great good fortune to work for Connie for several years, and she was an exceptional boss. Despite her difficult position as Friend of the Court, she always treated me well. And I loved her dry sense of humor, even when she said that my coffee put hair on her chest. I’m very sorry that she passed away. With deepest sympathy to the Osier Family. Rest in peace Connie, you will be missed. Very few people enter our lives with her heart, kindness, caring and positive outlook. She was a great colleague and consummate professional. She was my “Connie #2” with #1 being my wife Connie. I will miss her smile and laugh and know she is surrounded with peace and love on her new journey. What Jill said! Will be missed more than words can express. Dear Debbie, Mike, Marc, and Joseph our deepest condolences to all of you. I know that Connie will be sadly missed by everyone, and our hearts and prayers go out to you. Connie was not only the best neighbor anyone could have, over the years she became a very dear and close friend. I will always cherish the countless memories we shared. Beneath the hard outer shell she often portrayed lied a heart as big as the sky. she never asked for anything, but was always there when in need. She leaves a huge void in our lives that can never be filled. I know that her reward will be in heaven. May God’s perpetual light shine upon you forever friend. I would like to express my condolences to the family of Connie Osier on behalf of myself and the League of Women Voters’ Marquette County Unit. We got to know Connie through her mentoring role for us as one of the members of the League of Women Voters of Delta County. We appreciated her support, expertise and insights. She will be missed but her supportive words will be remembered.